A CRS Internship provides learning opportunities for students interested in working in international development and often satisfy requirements for their respective areas of study. It provides current and recent students an opportunity to learn about the best practices and approaches in the field of international relief and development with one of the leading non-profit, faith based institutions in the U.S. It is an opportunity for you to gain professional experience, network and learn what it is like to work for a faith-based organization. A CRS internship provides learning and mentoring. You will receive regular guidance from your supervisor designed to help you get the most out of your internship experience. To apply for a CRS internship, you must be currently enrolled in an undergraduate or graduate program or have graduated within the past year. CRS offers both paid and unpaid domestic and unpaid international internships during the academic year. Paid internships are posted on the CRS Careers site on the web along with other CRS career openings. Interns receive an hourly rate according to the state of Maryland’s minimum wage. All paid interns are expected to commit to at least 10 weeks—part-time (15 to 22 hours per week). Unpaid internships can take place throughout the academic year if CRS is able to identify a position. These internships are non-competitive, typically arranged in the prior semester and start at the beginning of a semester initiated by a university. Both domestic and international unpaid internships may last up to 6 months. Summer hires are hired to work during the summer months from June through August and receive a competitive hourly wage. These hires are usually students out of school for the summer and work full-time; 35 hours per week, with one hour unpaid lunch. Paid internships are posted with other CRS job openings on the CRS.org careers page. These internships are competitive. We recommend that you apply as early as possible. For unpaid internships, we can only consider applications that come directly through CRS staff or CRS-affiliated universities. We are not accepting applications for unpaid internships from prospective interns at this time, as these placements are limited. We look for interns with strong organizational skills and the ability to collaborate in a team environment. Proactive individuals with strong interpersonal, oral and written communication skills, and the commitment and ability to produce high-quality, timely and accurate work efficiently are the most successful. 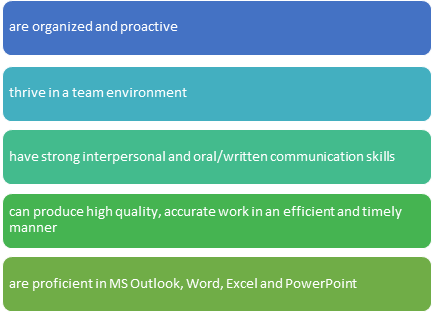 Proficiency in MS Outlook, Word, Excel, and PowerPoint is highly desirable. CRS offers both part-time and full-time internships during the academic year, depending on our needs. Most paid summer internships are full-time (35 hours per week). Part-time interns work 15 to 20 hours per week. CRS internships are available at our Baltimore headquarters, in our Washington, DC,, and in U.S. regional offices in California, Texas, Illinois, Georgia and Pennsylvania. Overseas internships may take place in CRS country program offices or CRS regional offices. CRS is able to offer a limited number of overseas internships to graduate students. These internships take place during the academic year. Overseas internships are unpaid, and interns or their universities are expected to cover the costs for transportation to and from the country, as well as housing, food and health and evacuation insurance. Unfortunately, CRS does not have the resources to provide or assist with housing or transportation for U.S.-based interns. Interns are expected to cover the following costs: relocation, transportation, housing and food. For overseas internships, applicants should expect to cover all these costs as well, though occasionally CRS may be able to help interns find housing. CRS is happy to work with universities to satisfy academic credit requirements.